(Host) For over twenty years, voters in the Northeast Kingdom town of Concord have been wrangling over whether or not to close their high school. The question will be on the ballot again this year, and as VPR’s Charlotte Albright reports, feelings are still running high-on both sides. 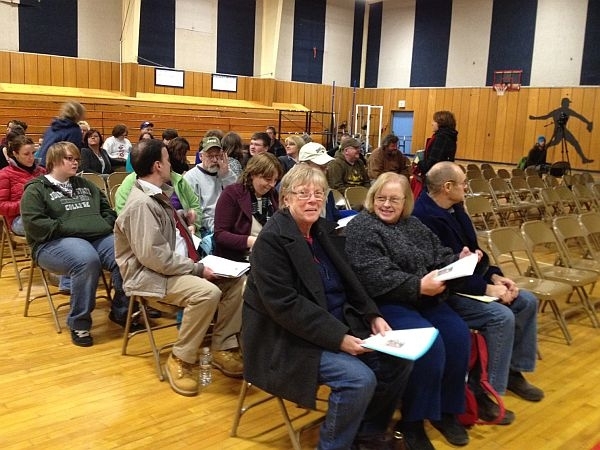 (Albright) The public debate about whether or not to close Concord’s High School has sometimes been rancorous, but last night’s informational meeting in the high school gymnasium was unusually sedate. 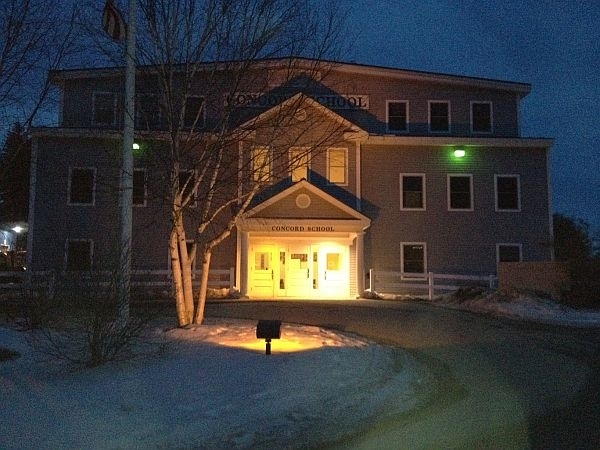 Power point slides weighed the financial pros and cons of paying to send Concord’s forty-plus high school students to other towns, while keeping the elementary program in the same building intact. The bottom line is hard to draw without knowing exactly how many students would want to enroll next year. Still, at the end of the meeting, Cynthia Stewart and Harold Lunnie remained convinced that secondary students would get a better education elsewhere. (Stewart) "Bullying is rampant here. There are many issues. Harold’s son just this week-his younger son that goes here- got assaulted by a fourth grader. There are issues at the public school level that are very challenging and Concord unfortunately is dealing with all of them." (Albright) Stewart and Lunnie are both running for School Board and have formed a group advocating for the closure of the high school. The town would have to pay for Concord students to attend their choice of other schools, including nearby St. Johnsbury Academy. But many at last night’s meeting defended Concord’s high school program, and suggested that exporting students to other towns could be more costly than keeping the high school open. Anna deGreenier, who graduated from Concord High in 199l, says her daughter, a junior, is getting what she needs from her local school. (deGreenier) "She’s very smart, she’s honor roll. I understand that some people aren’t happy here and if their children are unhappy here, that’s great-if they want school choice, that’s great. But to close our school takes away our choice." (Albright) There is wide agreement on one point-that the Concord school has made too many staffing and program cuts, and needs more community involvement and resources to thrive. Superintendent Jill Peck, who did not attend the meeting, says it’s not just about money-it’s also about local pride, especially in school sports. (Peck) "And that’s part of what people don’t want to lose. They do gather for their sporting events, they do gather for community types of activities and I think that’s all going to have to be a part of what those citizens are balancing and weighing when they think about this." (Albright) Peck says she is not taking a stand on the issue, but she hopes it will be decided once and for all on Town Meeting Day. For VPR News I’m Charlotte Albright.